Inspired by the tropical outdoor lifestyle, Markus Lehtovirta brings generations of Finnish furniture building experience to Florida Suncoast. Woodworking craftsmanship runs deep in Markus' Finnish family and traditions. As it was the case with Markus, the skill has been passed on within the family from father to son for generations. Early on in his life, Markus learned from observing and admiring his grandfather work out of his workshop in Finnish countryside. 30 years later in Florida, Markus rediscovered his inherited skills and started building Adirondack Chairs. Island Time Design was formed. As Markus describes it: "I get this unexplainable magical feeling from working with wood and making these products. The end product, of course is something tangible you can touch, feel and appreciate. But the reward that you get from the work is something completely intangible. Too often, in today's busy world, the opposite seems to be the case. We at Island Time want to pass on to our customers that same feeling through the products that we make. 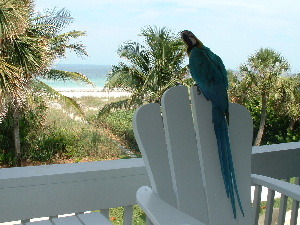 When you sit on one of our chairs, you will be on Island Time."